Barry Bonds says Roger Clemens should be votedinto the Hall of Fame, and now Rafael Palmeiro says Bonds and Clemens should both go in. I guess these type of guys look out for each other. And by type of guys, I, of course, mean players with staggering career statistics. Bonds and Clemens will appear on the ballot for the first time in December. Palmeiro, who was suspended 10 games by Major League Baseball in 2005 after testing positive for steroids, has received 11% and 12.6% of the vote by eligible members of the Baseball Writers Association of America, with 75% needed for induction. “You’re talking about, in my opinion, probably the best pitcher of all-time and the greatest player of all time. 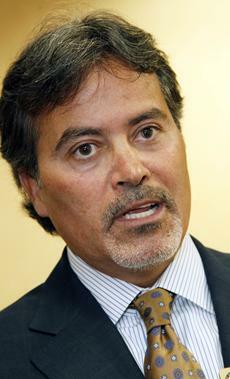 Keep them out and then the Hall of Fame has no credibility,” Palmeiro told ESPNDallas.com. Bonds and Clemens have been busy in retirement contending with federal trials that probed whether they lied — Bonds to a grand jury, Clemens to a congressional committee — about performance-enhancing drug use. Palmeiro had 569 home runs and 3,020 hits over 20 years and says he realizes it’s unlikely he’ll make it into the Hall of Fame.